It’s been many months since everyone talked about this jacket Gabba, the incense for its protection against rain and wind, but I had never had the opportunity to test it. So I used the output of Gabba2 to finally access the test this model. All that remained was to wait for the rain, which was delayed in coming. 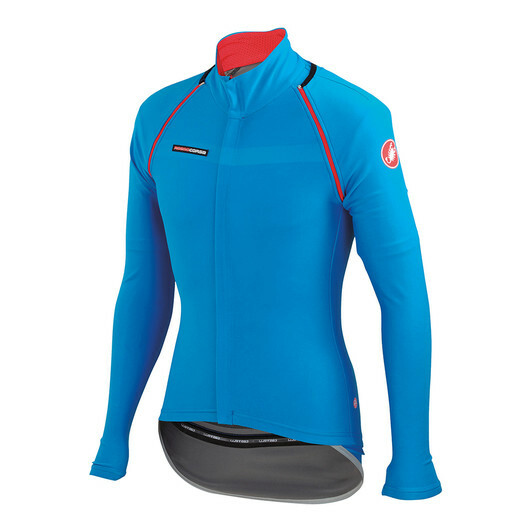 For the occasion, Castelli sent me the model convertible to the public price of 219.95 € that can be used as well in short sleeves as long sleeves. 220 € for rain jacket? Is it worth the effort? 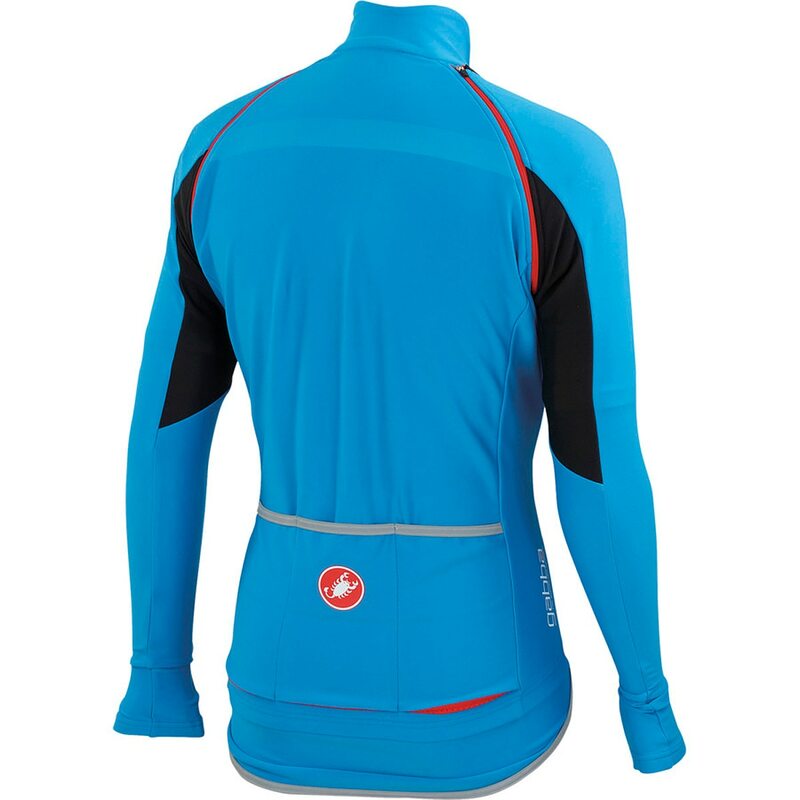 The Gabba2 is therefore a jacket primarily intended to protect the cyclist in conditions of cold and rain. But what changes in relation to a windbreaker or a raincoat you say? And Gabba has the big advantage of being up to 10 times more breathable than other windproof fabrics while adopting a cut very close to the body. Unlike a raincoat, it does not parachute, it marries the body shapes. The Windstopper X-Lite Plus fabric is a particularly effective wind-cutting material. Equipped with Nanoflex technology, it also provides perfect protection against rain. The fabric is covered with millions of nanofilaments by which the drops of water remain in spherical balls on top of the fabric and then flow without leaving traces. The whole is water repellent and with vents facilitating the transfer of moisture to the outside. 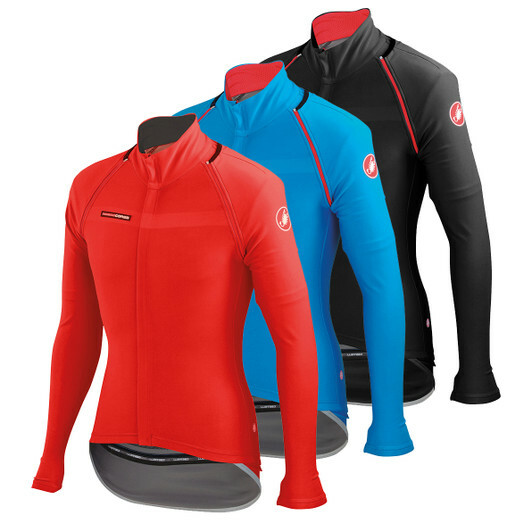 A jacket so effective that we could see many runners, having yet another textile partner than Castelli, wear the Gabba. Almost half of the platoon had bought it. This Convertible model is available in blue or black. Too bad it is not available in yellow for more security. Below, all Gabba2 models and their respective public rates. 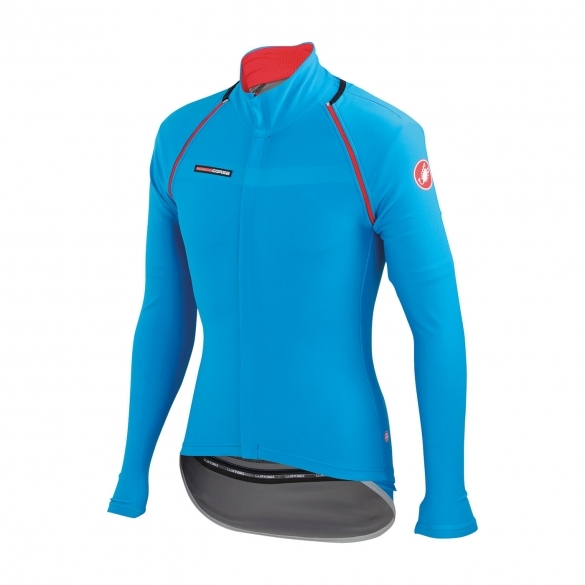 Castelli took advantage of the numerous returns of the riders to correct the few defects of the first model. Thus, a flap has been added on the front of the zipper in order to perfect the tightness and prevent drafts. The cut has also been slightly refined and the pockets reworked to improve the evacuation of the water. And on this convertible version, the closure around the sleeves has also been perfected. At the back, a “storm” flap is present that goes down very low on the shorts to protect the latter from the water splashes of the rear wheel. A place often sensitive as it is very unpleasant to have the insert soaked. Even in the aero position on the bike, this flap is long enough to go down to the saddle. On the security side, a pity that Castelli did not insert more reflective material. Only the top of the back pockets and bottom of the flap have reflective strips. 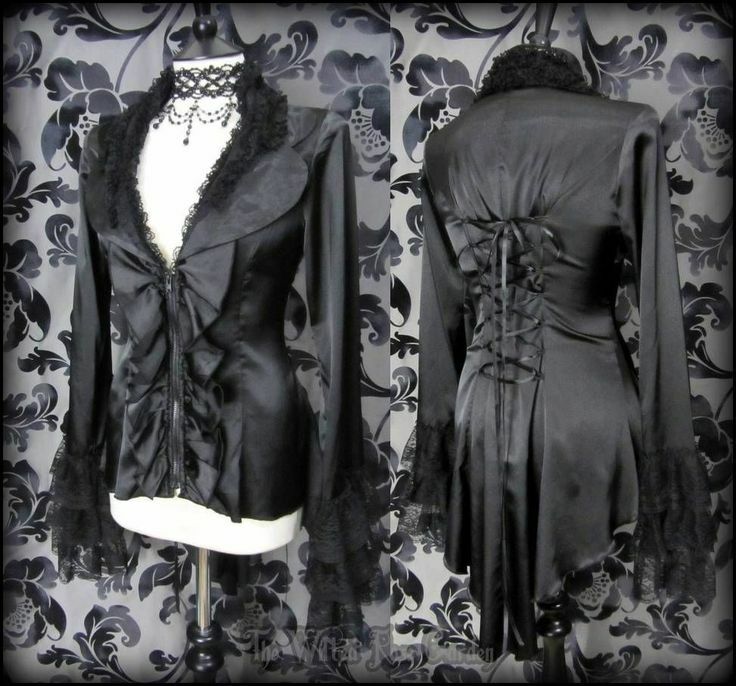 For a jacket intended to be used in the rain, and thus conditions of light sometimes weak, it is regrettable. This Convertible version has the advantage of being able to be worn in short sleeves or long sleeves. 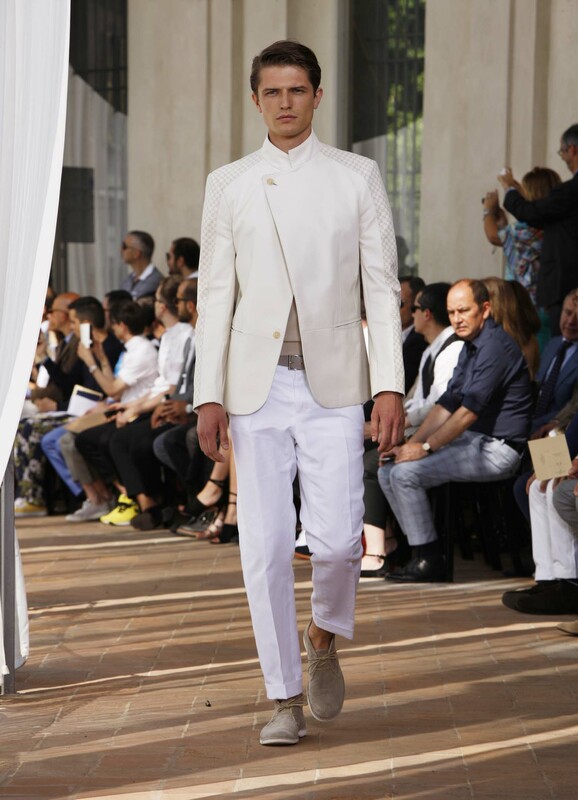 If the temperature rises, the sleeves can be quickly removed with zippers and stored in the pockets. 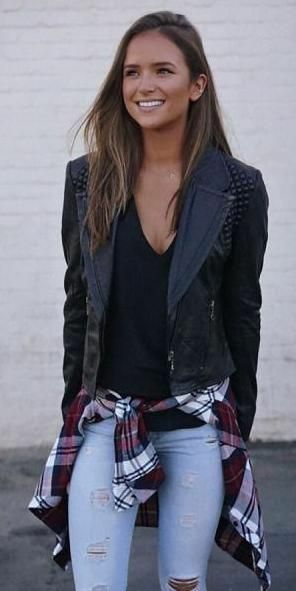 You end up with a real jacket with short sleeves. While the Gabba 2 is given to be worn between 10 and 20 °, the Gabba 2 with long sleeves is advised between 6 and 16 °. This convertible model is suitable for use between 6 and 20 °. 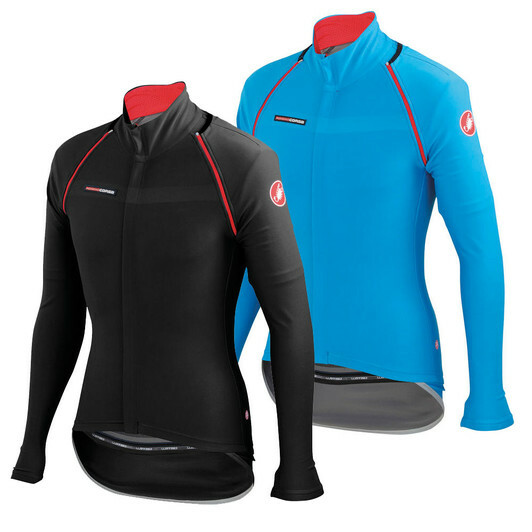 From 6 to 16 ° in the long sleeve version and from 12 to 20 ° if you remove the sleeves according to Castelli. But 12 ° in short sleeves seems to me very optimistic. Depending on the sensitivities of each, I think the short sleeves are recommended from 15/16 °. In my first test, I had only a few scattered showers and a temperature oscillating from 14 to 17 °. The jacket, worn on the skin, proved to be pleasant to wear, even without rain and by 17 °. The fact that it stays close to the body detonates compared to other rainwear type waterproof. And she’s actually breathable. Even at 17 ° keeping the long sleeves, I did not have this feeling of stove. The silicone band at the waist plays perfectly its role, the jacket remains in place. In mid-December, however, I was able to test the qualities of the Gabba2 under a heavy rain and by only 10 °. For the occasion, I only put under the jacket a technical t-shirt long sleeves. It was a long time ago that I had not rolled under so much rain for 2 hours and with such a low temperature. Sincerely bluffing efficiency. Even after 2 hours of rolling in all possible puddles, I never felt moisture in the upper body and the back of the shorts remained clean and almost dry thanks to the flap at the back of the jacket. No infiltrations either by the sleeves or at the collar, which is tight enough to be “waterproof” without being embarrassing. On the temperature side, I have never been cold with only 10° to the thermometer (to the counter to be precise!). The promise of Castelli seems just with an announcement of operating temperature up to 6°. If you are not too chilly and with a good technical underwear, it passes. Enough to finish a 2h exit under the fleet with a smile. It had not happened to me many times. Are we buying or not? I thought this jacket reserved for professional riders or at least Elite who drive very often in the rain because of a very exclusive use. After trying, it is clear that my feeling was wrong. The Gabba is not used for rain. 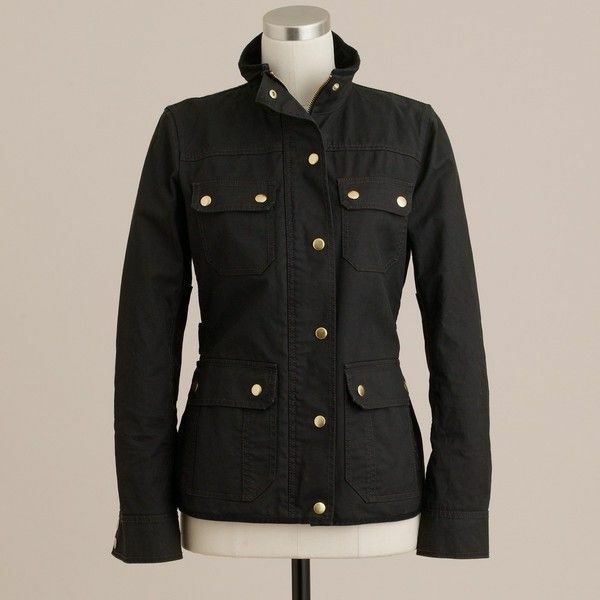 This jacket is finally more versatile than a simple windbreaker or a raincoat since even without rain, it remains very pleasant to wear without sensation of overheating. If time is simply covered and you hesitate to take a raincoat, you can leave with only the Gabba2. This convertible model, despite being the most expensive at € 219.95 ( but you can buy it here for € 189.90 ) is probably the model I would recommend given the wide range of temperature. It will serve you both summer and winter. 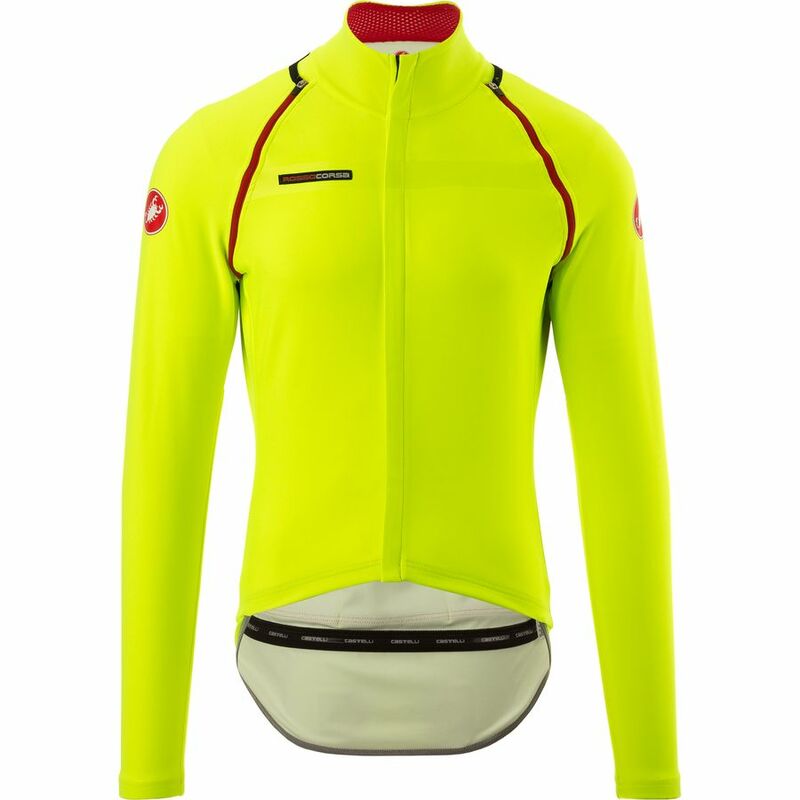 The only fault I find with this model is that there is only blue or black, not yellow, an ideal color for safety, while versions Shirt (€ 169.90) and short sleeves are available in This color. The reputation of this jacket Gabba2 is therefore not really usurped. Only Castelli has to invent a shorts of the same type, you may check with Proexchangerates.